I will be working at the library’s annual book sale before heading out to the Syracuse football game against Connecticut at the Carrier Dome today. We were thrilled that it was not another noon start. That would have been a no-go for me. Besides, tailgating for noon games can bring interesting choices. 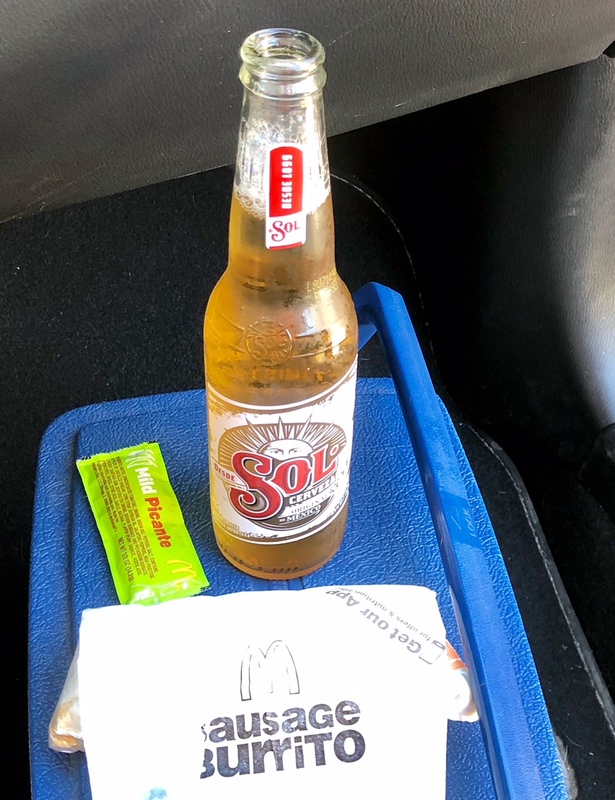 I took advantage of a good sale of light Mexican beer at Nichols on Friday and Karen pulled through Mickey D’s before we got to our favored parking lot down the hill to allow me to complete my Sol-ful breakfast burrito combo. Can the Orange get another crowd that looks kind of big? a winning game day breakfast combo, i’d say. It was a winning day, yes, Beth!